Kyklooppi on kätkeytynyt hirmuisen merihiiden lohkareen alle. Description: Cyclops is hiding under a boulder brought here by a terrifying sea troll. Kätkö johdattaa Keistiön saaren syrjäisimpiin kolkkiin, aivan luonnonsuojelualueen tuntumaan. Paikalle on valtava siirtokivilohkare ja vain muutaman sadan metrin päässä on umpeenkasvanut meren lahti. Ensimmäinen kätkömme ja poikamme (4-v.) nimeämä. 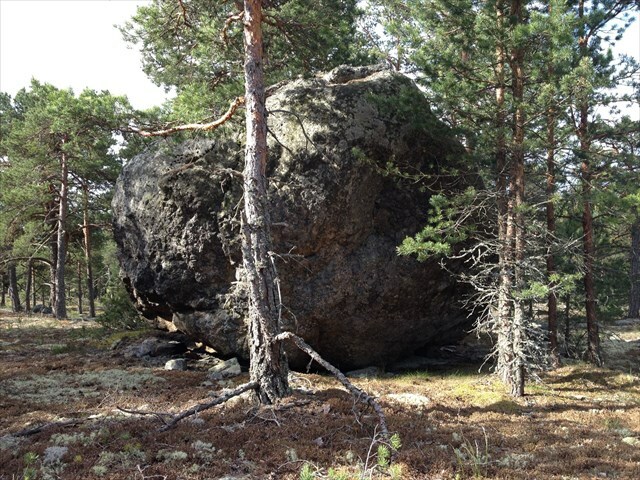 The cache leads you to an enormous boulder at the edge of the nature preservation area. It is only a few hundred meters from a great view of a bay that has been taken over by reed. This is our first cache and it was named by our four year old son. Cvvyb ba uryccb yölgää vfba xvira nygn.Vg vf na rnfl pnpur haqre gur obhyqre. The Troll's StoneThe enormous boulder that hides the cache.